Honor Society Foundation just earned a 2019 Platinum Seal by adding information to our Nonprofit Profile on GuideStar. By sharing these important metrics, we’re helping the sector move beyond simplistic financial ratios to assess nonprofit progress. We chose to display quantitative information such as the number of scholarships awarded per year, the total amount awarded per year, and the total number of works exhibited in our museum to represent how hard Honor Society Foundation is working toward achieving our mission. It’s important to share these metrics because it shows our Foundation’s commitment to our mission. We’re proud to have earned a Platinum Seal to share our full and complete story with the world. To reach the highest level of transparency, we added extensive information to our Nonprofit Profile: basic information about our missions, programs, leadership, etc. ; indepth financial information; qualitative information about goals, strategies, and vision, and the progress we are making toward our mission. 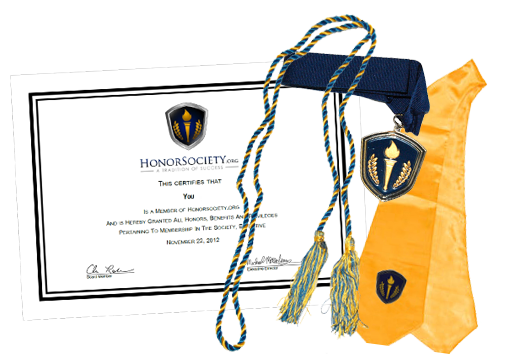 The Honor Society Foundation, Non-profit 501(c)(3), seeks to achieve three goals; 1) provide scholarships to high achievers to pursue their dreams, 2) create values-driven educational content, and 3) preserve the distinguished history of honor societies. Texas Southern University Journalism Alumni Ruben Dominguez and Kenneth Ware Jr. hold innovative lecture series. Susan Baker: My Graduate Achiever Scholarship!